Keep your edges and lines straight through any art project with our Masking Tape Rolls. Paper backed for clear definition between the tape and it's backing, this easy to cut tape is lightweight but durable. A staple addition to your crafting collection, the tape can be used as an adhesive while also working well for creating borders or gaining a crisp and perfectly straight line in any project. 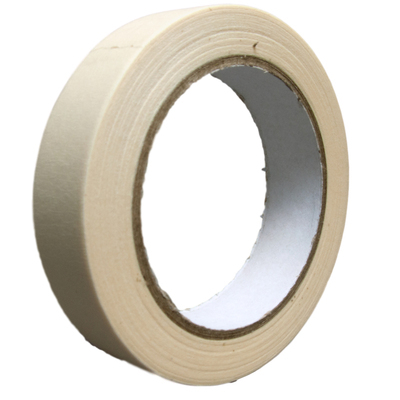 Easy to remove if needed and lasting for a long time, each of these 9 masking tape reels can be distributed through out the office or stored for use when needed. Grow your stationery cupboard or your Arts and Crafts collection with everything from Creative Scissors and A4 White Card through to Assorted Ribbons, Plain Wooden Lolli Sticks and Assorted Buttons. And when it's time to go back to formal documents, our A4 Copier Paper comes in bulk packs specifically manufactured for high-traffic work environments.